Comic book fans love to argue about which of their favourite characters would win in a fight. With so many different self-contained comic book universes to choose from, there is plenty of room for discussion about how powerful certain characters are when teamed up against or with each other. Although some of the following superheroes and villains in this list wouldn’t make an even matchup if they ever fought each other, they are some of the most powerful beings found in the pages of their own self-contained comics. With the ability to control squirrels and harness their abilities, Squirrel Girl is frequently name checked by comic fans as possessing some of the most pointless powers in the modern Marvel Universe. However, she has bested the likes of Doctor Doom, Wolverine, MODOK and even Thanos, and the latter is one of the most powerful in the universe. Squirrel Girl was created as a light-hearted celebration of the endless optimism held by traditional superheroes, and her power and appeal lay in her fun personality and quirky powers. Her ability to defeat much more powerful villains has become a running joke of sorts and many of these victories are not shown on the page. However, they are confirmed or witnessed by other characters so her true power can’t really be disputed. Watchman is Alan Moore’s definitive, genre-defining take on superheroes, but the comic only contains one super powered being. Watchmen is set in a relatively ‘realistic’ universe and superheroes like Nite Owl and Ozymandias are seen as the pinnacle of human fitness and intelligence, but they aren’t necessarily able to do anything a normal person couldn’t. That is, however, with the exception of Dr Manhattan .The result of a freak atom-testing experiment, Dr Manhattan can control and manipulate matter at a subatomic level. This means that he is able to destroy and create life with barely any thought or effort and he can teleport and regenerate himself. Dr Manhattan also has a unique perception of time and he experiences the past, present and future all overlapping simultaneously. However, he is very careful and deliberate with his immense powers and he realises that he cannot (or should not) interfere with predetermined events. Neil Gaiman’s Sandman series is an ambitious, sprawling epic which follows a group of eternal beings called The Endless. Each member of this ‘family’ controls a different force in the Universe and they are much more powerful than any God. The most powerful member is Dream, the protagonist of the series. Dream controls the realm of dreams and imagination, and he can essentially define what is real and what is not. As they are literally the embodiment of the forces and emotions they represent it’s quite difficult to fully grasp the true extent of their powers, but throughout the comics Dream shows that he has limitless power and he can shape reality in both the ‘dream world’ and the real word. The Spectre is a divine being who is essentially the walking embodiment of death. Given the responsibility to enforce the wrath of God, the divine spirit has existed since the dawn of creation and it attaches itself to human hosts to take a physical form. Occasionally used as a Deus Ex Machina, The Spectre’s abilities cannot be really compared to any conventional super powers held by other characters in the DC Universe because he is essentially above them all. Although he has in the past proven to be susceptible to the Lantern Power Rings and can be affected by magic, the Spectre has confronted impossibly powerful characters from the DC Universe and his actions have even threatened the existence of the multiverse. 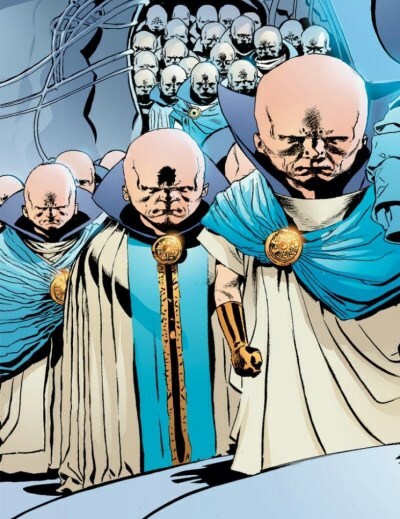 The Watchers are a frustrating extra-terrestrial race from the Marvel Universe who have a policy of non-interference, so it’s difficult to gauge just how powerful they are. The Watchers are tasked with the job of observing the universe as they know what events will come to pass and what will happen in the future. They have taken an oath to never meddle in the natural course of the universe, even if this means the complete death or annihilation of another species (for example, they witness the birth of Galactus and know the damage that he will inflict in the future, but they still choose to stand by and let him develop his powers). Although other advanced alien/cosmic races from Marvel get to flex their muscles more often and may seem more powerful than the Watchers (such as the Celestials), the technology possessed by the Watchers rivals that of any other power in the universe and they could completely alter the future of all species and civilisations. They simply choose not to. The Preacher series by Garth Ennis features a bizarre roster of religious and supernatural characters. When the titular preacher Jesse Custer is accidentally possessed by the offspring of an angel and a demon, he is instantly given divine powers which rival those of God. Scared by this creation, God goes on the run. The birth of Genesis awakens the Saint of all Killers, who was originally created by the Devil to serve as his Angel of Death. Armed with two colt revolvers that can kill anything and never miss a target, the Saint of All Killers is an unstoppable force. 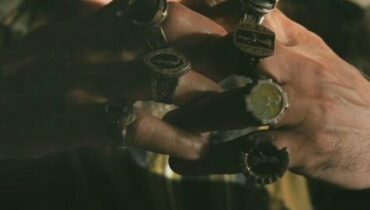 He is completely unfazed when a nuclear bomb is dropped on him and, in one of the final scenes of the series, he even confronts God and shoots him in the head. The Saint takes God’s throne, lowers his cowboy hat and finds a way to finally rest. Superman has always been considered to be one of the most powerful superheroes in the DC Universe, but he cannot hold a torch to the future version of himself. DC One Million was a miniseries which brought together the modern day Justice League of America with the 853rd Century Justice Legion Alpha. In this far off future, the original Superman Clark Kent has spent fifteen thousand years travelling the universe and has grown stronger and stronger. Over time he has absorbed mass amounts of energy from the Sun and he has developed almost infinite powers. He is even capable of creating life and bringing people back from the dead. The son of the Fantastic 4’s Reed (Mr Fantastic) and Sue Richards (Invisible Woman), Franklin Richards is the most powerful mutant in the Marvel universe. Similar to the Scarlet Witch, Franklin has the ability to completely warp reality. At a young age, Franklin was able to create a ‘pocket universe’ which was effectively a replica of the Earth-616 Marvel Universe. These gifts have obviously drawn the attention of the mightiest cosmic super villains, but Franklin has always had a keen grip on his powers and the strong morals provided by his parents should ensure that he always uses his powers for good. Comic fans argue about whether Franklin or the Scarlet Witch is more powerful, but Franklin has already displayed from a young age the raw power at his disposal and it is expected he will only continue to refine and harness his gifts as time goes on. Similar to Marvel’s Galactus, DC’s Anti-Monitor is an immensely powerful cosmic being who is hungry for all life he can come across. 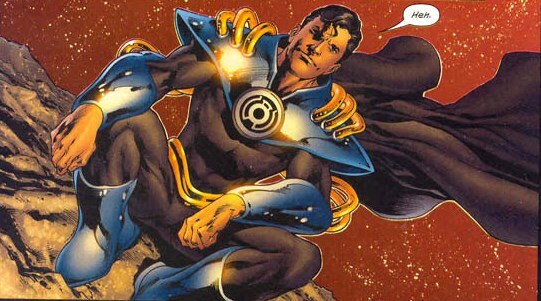 However, unlike the planet-eating Galactus, the Anti-Monitor consumes entire universes. He has destroyed thousands of universes and countless living organisms by devouring them and harnessing their power, and through this massive amount of energy absorption he has even managed to travel to the beginning of time in an effort to change the creation of the universe. At the peak of his strength, the Anti-Monitor was responsible for the collapse of the multiverse which was a monumental event for all DC properties (until the multiverse was brought back in typical comic book fashion a decade or so later). Marvel and DC have dozens of characters who could be described as possessing ‘god-like’ powers, but both comic universes actually do have an all-seeing and all-powerful creator. Marvel’s One-Above-All and DC’s The Presence are essentially the Gods of both comic universes. They are omnipresent and omnipotent, and they have complete control over all other characters in their respective universes. It quite simply doesn’t get bigger or more powerful than these two characters.